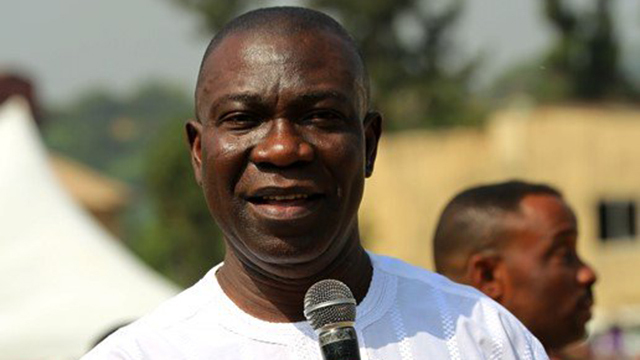 The Deputy Senate President, Ike Ekweremadu has denied speculations that there is crisis within the Peoples Democratic Party (PDP) in the zone. Ekweremadu was reacting to rumour that he had dissociated himself from campaigning for Atiku on the ground that it would be needless dissipating energy on a project for which he was not considered for any major role. It was speculated that Ekweremadu was aggrieved for being sidelined, when Atiku nominated his running mate from the zone, especially after his efforts to unify the party during the crisis that ended at the Supreme Court. He was said to have been miffed by the fact that he had actually worked closely with Abubakar to gather the support he got from members at the Port Harcourt convention, and that the entire party structure in the zone did not sit to discuss the matter before a decision was reached. As such, Ekweremadu had become unenthusiastic about the presidential campaigns. At a point, it was rumoured that he was discussing with the All Progressives Congress (APC) on the possibility of joining the party as a way of repaying PDP for the neglect. 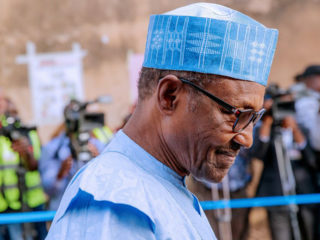 He asked party fateful and supporters not to be distracted by the rumour mill, as the nation approached critical stages of the 2019 elections, but to remain focused on delivering votes to ensure PDP’s success. 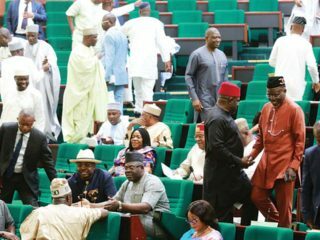 The lawmaker added: “My attention has been drawn to the orchestrated attempts by some characters to create the impression of a divided house in the Peoples Democratic Party (PDP) in the coming Presidential election. Such characters dish out fake and divisive stories without source on a daily basis and attribute same to me. “While I refuse to be distracted by such cheap blackmail, smear campaign and extreme propaganda, it is important to reassure our supporters that the PDP is united and focused on wresting power from the All Progressives Congress (APC). Various interpretations had been given to Ekweremadu’s position. While some said it was the tonic needed to deepen PDP’s campaign strategies at winning elections in the zone, others said it should be taken with a pinch of salt. The latter school of thought holds that there was nothing in the statement, and wondered why it took him so long to reassure the party of his fidelity. It contended that that there was nothing convincing on ground to show he was indeed committed to the party’s success in the zone. A party member, who spoke on the condition of anonymity, insisted that the party wasn’t looking in the direction of an individual to lead the campaigns to convince Ndigbo on why they should vote for PDP in the presidential election. He stated that the party was strengthened by the outcome of the November 14, 2018 gathering of Igbo leaders, where what he described as ‘Igbo position” was taken on where the zone’s support would be in the presidential election. He said: “The Enugu meeting was chaired by erudite scholar and constitutional lawyer, Prof Ben Nwabueze. It came up with a resolution to adopt and support the presidential aspiration of Atiku/Obi. It held that it was the only platform that could return Ndigbo to national politics and in the scheme of things in the country. “There is no better way of saying we have a good product than the approval the zone made. So, it does not matter whether or not the likes of Ekweremadu are coming now to declare their support. As much as we cherish him and value his contributions, it is on occasions like this that people who matter should raise their heads to be counted. 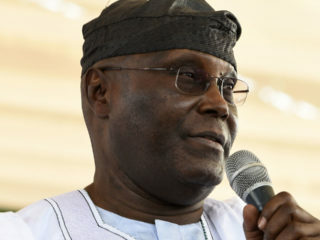 The Guardian gathered that, following the misunderstanding and noticeable indifference of the zone’s party leaders, including the governors to the Atiku/Obi project, no state had agreed to host a zonal rally to shore up the party’s support base. The rally was scheduled severally last year and was agreed to hold in Awka, but was put off at the dying minutes. This time, apparently to shame detractors, supporters and stakeholders in the campaign project in the zone came together again and decided to move the zonal rally to Owerri, Imo State capital to now hold on January 22. This is irrespective of the widely held belief that Owerri is PDP’s weakest link in the zone in view of the party’s inability to return to power at the centre, which it lost to APGA and APC over 13 years ago. Although there is strong rumour that one of the biggest funders of Buhari’s re-election campaign in the Southeast is a governor produced by PDP, the choice of Owerri was arrived at after futile efforts were made to convince any of the governors to host the rally in his state. It was gathered that they all refused on the flimsy excuse that they lacked the needed funds to do so, and that they were required to host and fund their various state rallies in the future; a development viewed with a lot of suspicion. The source said: “We are looking seriously to this rally to firm up things. We have invited all that should be invited and hope it is not truncated at the last minutes. A cursory look at what is happening in the zone will show that PDP governors are playing hide and seek, because they want to retain their position. “Since Atiku emerged, no meeting has held in the zone on how they want to support the project and return the party to the limelight. Go to the various states, you will hardly see a campaign billboard sponsored by PDP state government. It is as bad as that. We have been asking them for support for this zonal rally, but they kept saying there is no money. To them, our leaders that endorsed the Atiku/Obi ticket are on their own, but we will not relent. AS it is, there is a struggle over who controls the party’s presidential campaign structure in Anambra State. From his vantage position as Vice Presidential candidate, Obi has appointed Harry Oranezi as the Director General of the campaign organisation. The team is said to be operating from the campaign office used by Oseloka Obaze during the 2017 governorship election in the state. On the other hand, Governor Dave Umahi, who is the zonal Coordinator of PDP presidential campaign in the southeast, has appointed and inaugurated Walter Okeke as the Director General of the party’s campaign in the state. Okeke’s group is operating from the facility that served as Goodluck Jonathan’s campaign office in 2015. The group is said to be backed by Chief Chris Uba, who is the party’s senatorial candidate for Anambra South and Deputy Coordinator of the presidential campaign in the Southeast. Of worry is the fact that the two groups working in parallel directions may soon be heading towards a clash, following the sound beats emanating from them. If this happens, it would put paid to efforts to garner support for the Atiku/Obi ticket.